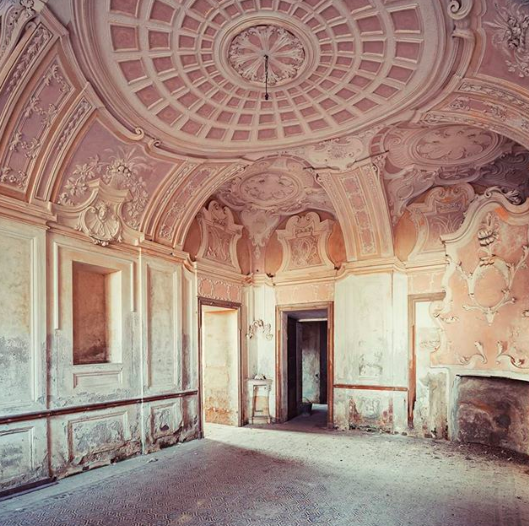 Gina Soden is a fine art photographer based in the UK. The subject of her work is always abandoned or derelict properties which once had a grand past. She spends days researching buildings which are now no longer in use, and then plans routes to visit them. Often times the buildings are boarded up or sealed and no longer accessible to the public. 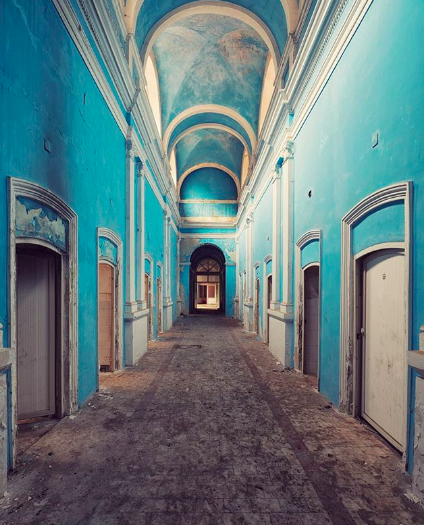 Amongst the decay she finds incredible beauty that allude to the past and the ways the buildings were used, Many of the buildings she photographs have frescoes, stunning architectural detail, and grand stairways. She photographs them as she finds them often with nature taking hold, ivy growing up the walls and debris from years of neglect. In this episode Gina talks about the research that goes into finding suitable subjects, recent work where she uses vintage mirrors, issues, being a digital hoarder, and her exhibition with Charlie Smith Gallery. I was familiar with GIna’s work having seen it at fairs, and Gary Mansfield recently had Gina as a guest on his show. I met Gina at the opening of her exhibition at Charlie Smith London and then again at Soho House where she was talking about her exhibition with Danny Treacy, Michael Boffey chaired by Kate Bryan. The podcast was scheduled days later!